Martin Zamani moved all in for 600,000 from under the gun and saw Shaun Deeb on the button and Bin Duan in the small blind both call. 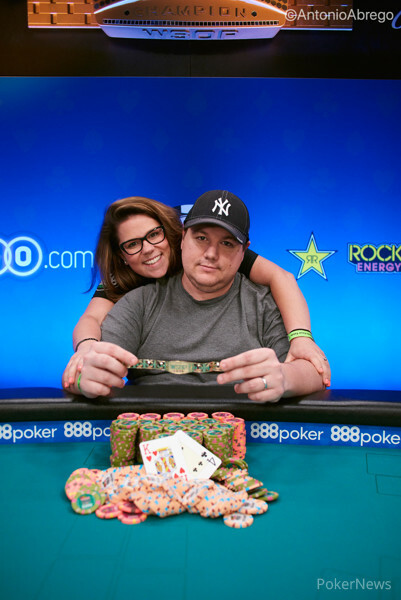 The flop came down , and both Deeb and Duan checked to play for any side pot. When the turn card came the , Duan bet 290,000 and Deeb called before they checked to a showdown on the river. 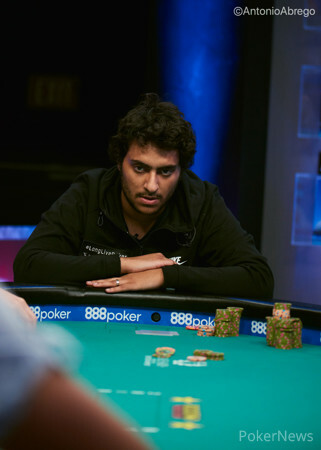 All three had a pair of aces, but Duan took both the main and side pot with his king kicker, and Zamani was the official final table bubble as he took away $74,162 in seventh place.